PwC leads the professional services sector, as one of the top 50 brands world-wide in the annual Brand Finance Global 500. The Global 500 is a list of the strongest and most valuable brands world-wide, with top positions dominated by the technology sector. The report assesses organisations across two main categories - the strength, and the value of their brand. Brand strength is calculated using a number of measures, including marketing, brand perception and business performance relative to competitors. The strength score feeds into the overall brand value calculation. 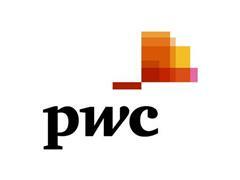 PwC achieved a ranking in terms of brand value of 50, moving up from 66th last year. As a result PwC is the highest performing professional service brand in the Index. The results reinforce the professional services network’s leading position as one of the leading brands in the world in 2018. “Our brand’s strength is driven by our people’s contributions, and underpinned by the long term investments we are making in transforming our technology, services and skills. The Global 500 is a list of the most valuable brands in the world. The top of the 2018 list is dominated by the technology. Download the report here.